Workers lay a pipeline in the Koteshwar-Balkumari area. 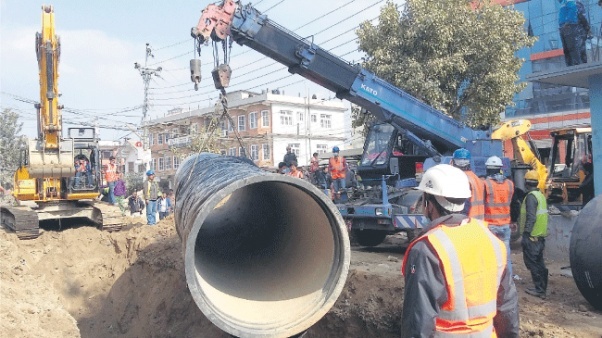 KATHMANDU, Dec 28: Pipelines being laid down in the Kathmandu Valley to distribute water from Melamchi to consumers may be vulnerable to earthquakes of intensity greater than that of 2015 quakes, a report shows. The pipelines lack seismic design and might also suffer from soil liquefaction in the event of a major earthquake resulting to major flooding, according to Review of National Building Code & Implementation Capacity Report submitted to National Planning Commission in November last year. While the Kathmandu Upatyaka Khanepani Ltd has completed construction of 34-kilometer bulk distribution system, work on remaining 40-kilometer distribution system is going on. "The pipeline network traverses a variety of terrain some of which may be liquefiable or subject to lateral spreading or slope failure in the event of a major earthquake," reads an excerpt of the report under the sub-title 'Water Mains'. The report has warned that the pipeline may suffer maximum damages in areas where the earthquake causes permanent ground displacement. Liquefaction is a state of soil which behaves like liquid after being shaken by the earthquake. Structures founded on liquefiable soil are severely damaged should the soil liquefies. 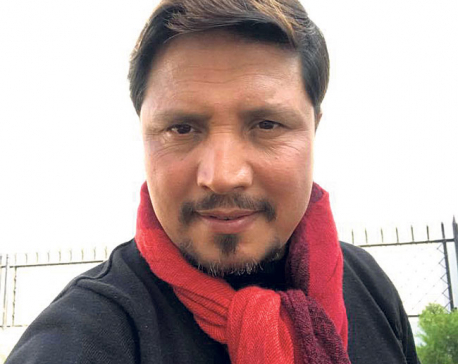 Senior Geotechnical Consultant Naresh Koirala, who authored the report, said that the intensity of ground shaking in the Kathmandu Valley due to the 2015 earthquakes was moderate to low. ''The intensity of future earthquakes could be much higher. I did not receive any satisfactory answer from the Kathmandu Valley Water Supply Improvement Project consultants when I asked what the design seismic capacity of the Melamchi pipelines is”, he added. It suggests that the designers are now aware of the pipeline's design seismic capacity. In layman's term, it is unknown how much shaking the pipeline can sustain. The bulk pipeline of 1.4 meters diameter will carry large volume of water and damage to those pipes by the ground displacement may cause serious damage in the locality, Koirala added. Koirala also said that he has seen no evidence of detailed geotechnical investigation for the pipeline design. Such investigations are a standard practice in countries with seismic standards for water mains. Officials of Kathmandu Valley Water Supply Improvement Project contend that the pipelines are safe from effects of future earthquakes because a section of pipeline sustained the 2015 earthquakes. But they have not provided specific answer to the question on seismic capacity of the pipelines. Binod Chandra Devkota, deputy team leader of CDM Smith -- a consultant for pipeline laying project, admitted that his consulting firm does not have exact measurement of resistance of the earthquake. He also added that no ground improvement has been done before laying pipes.“But the pipes used in the network are of best quality and are used in seismic zones like Nepal," Devkota said, adding that High Density Polythene Pipes (HDPE), which are used in the new distribution system, are flexible to any shaking. Devkota also said that they have replaced weak soil found in few places. Service reservoirs for Melamchi water, which were initially designed at 0.36g acceleration of ground, were redesigned to 0.5g after the 2015 earthquakes. But Koirala's report states that soil around Panipokhari reservoir is likely to liquefy at 0.12g. ''It is not clear how the ground has been improved before the reservoir was constructed," the report states. This suggests that the foundation soil of the reservoir may liquefy under severe seismic shaking, and the reservoir may fail causing major flooding in the neighborhood. However, Devkota said he has not received Koirala's report yet. Similarly, Tulsi Prasad Gautam, the spokesperson for the National Planning Commission, said that he was unaware of the report. Responding to a question on whether water pipes being laid in the valley are quake resistant, Asian Development Bank's Country Director Kenichi Yokoyama said: "My understanding is that earthquake factor has been considered in the design." 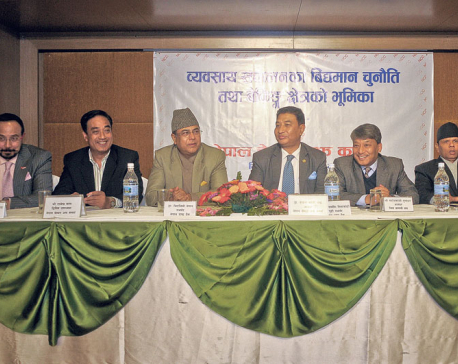 ADB is one of the financers of the Melamchi Water Supply Project. "But at the time of major earthquakes where extra events like soil liquefaction and major cracks on earth/ground happen, which was not the case in 2015, some damages may occur and repair would be needed for the particular” Yokoyama added.